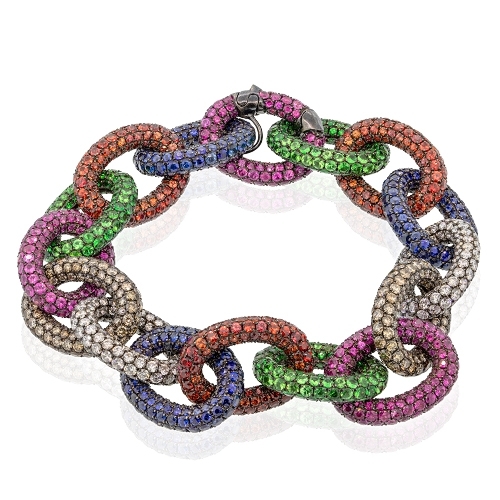 18kt white gold rhodium black chain link bracelet with diamonds and colored sapphires. Diamonds approx. 9.26ct. Bracelet 9"